THT offer rebuild services for ALL diesel engines for ALL applications. Our rebuild specialty extends to all applications of diesel engines from the above manufacturers including; Marine, On-Road, Power Generation / G-Drive, Agricultural and Industrial / Sprinkler engines. Our team of factory trained service technicians are capable of providing rebuild services of the highest quality. THT’s rebuild capability extends for most other makes and models of diesel powertrain engine. We are the experts! 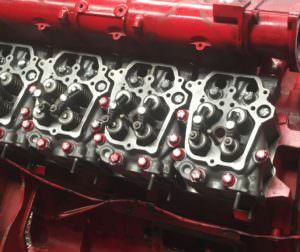 We regularly rebuild engines in house and have them ready for sale at a cheaper price than buying new! Head over to our products pages to see what rebuilt engines we currently have for sale. Our engine exchange services also offer a cost effective way for you have a fresh engine without the hassle. Does your engine need a rebuild? Or want to buy a rebuilt engine? All our engine rebuilds are conducted by factory trained technicians.